Chickens are a great source of fresh eggs, entertainment, and learning experiences. They are also excellent all-around pets! If you've been interested in chickens for years or if you're new to the idea, we compiled years of personal experience and insight into this comprehensive article on raising chickens for eggs. Before we talk about how to raise chickens, we need to talk about the legality of keeping chickens in your area. If permitted in your community, backyard chickens can become a great hobby or a small income source. With an increased interest in urban farming, more cities are permitting our feathered friends in backyards. Today, major cities in some 40 states permit urban and suburban residents to own chickens. The number of hens is restricted. Flock size might be based on the size of your property. Coops must be at least 25 feet from buildings and property lines. There must be at least 3 square feet of coop space per hen. You can look up details on laws and ordinances in your area in this post at BackyardChickens.com. Chickens are restricted in some areas because of concerns about noise, diseases, odor, and predators. Residential communities governed by homeowners associations are more likely to restrict urban farming. Check your city's ordinances online or call your city clerk. Never maintain a backyard chicken coop illegally. Respect your neighbors and all local laws. 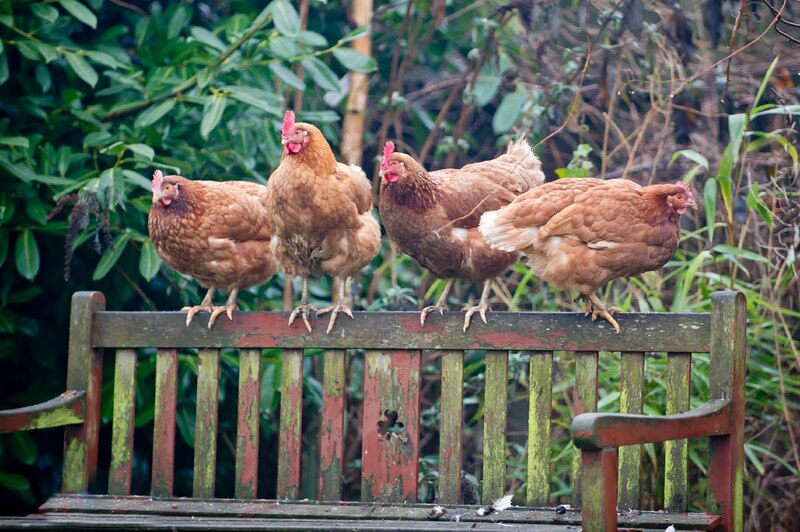 Even with a backyard flock, you still need to answer the age-old chicken or the egg question. You can start with fertilized eggs, chicks, or mature chickens. Each choice has advantages and disadvantages. Hatching your own eggs is an amazing and educational experience, especially if you have kids. However, you'll need specialized equipment to keep your newborn chicks safe and warm. Also, you may end up with roosters. Pre-sexed chicks are available from Paris Farmers Union during two order periods in the Spring. They are adorable and easier to care for than hatching eggs, but they need to be kept indoors for the first few weeks. Starting with chicks gives you a chance to bond with your hens and helps them feel at home on your property. Chicks will begin laying eggs after 20 weeks. If you start with pullets or adult hens, you'll be collecting eggs in no time, but you won't have the same bond with your girls. Adult hens need to be kept in the new coop for a week until they get used to their new environment and lay eggs in the same place predictably. Then, they can be given free range. Older chickens cost more, but you won't need to purchase specialized equipment for chicks. The size of your flock will depend on these factors. Many mail order hatcheries have minimum order requirements, so you might end up with a larger flock than you expected. Paris Farmers Union requires a minimum of 6 birds to order, but don't worry, you can mix and match breeds to reach that total! If local ordinances say you can only own a few hens, you could split your order with friends. Minimum order requirements might be more flexible for eggs or adult hens. Consider how many eggs you can realistically use. Pullets lay five or six eggs a week. Just five hens will give you two dozen eggs per week, so you might need to share extra eggs with friends, family, and neighbors. Remember that egg production decreases with age. There are countless designs for portable and permanent coops. 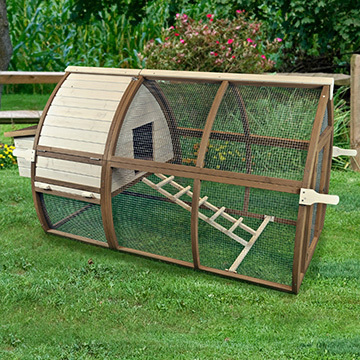 Portable tractor and ark coops allow you to give chickens access to a variety of fresh insects and greens in your yard. Permanent chicken coops are suitable for larger flocks. A coop should be secure from predators, weatherproof, well-ventilated, and equipped with food and water, nesting boxes, and elevated perches for roosting. 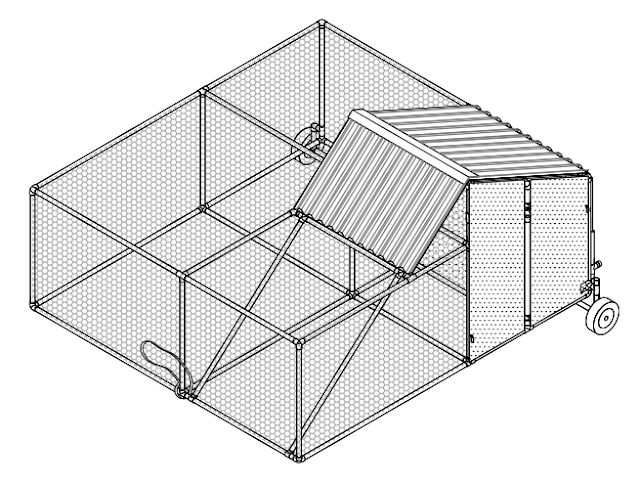 Many designs include an attached chicken run that allows the hens to forage in a protected area. If you like DIY projects, you can build a coop yourself, or you can hire a carpenter or handyman. Hand built from solid fir and roomy enough to comfortably sleep up to 4 chickens, if they are allowed to free-range during the day. The coop features a uniquely styled, asphalt roof, offering shade and shelter while a galvanized mesh-enclosed run gives hens a secure space to forage and exercise. This clever coop has room for eight hens. It resembles an ordinary garden shed, so it will look perfect in your backyard even if there are architectural restrictions. Often called arks or chicken tractors, portable chicken coops are easy to build and use. Open-bottom arks and tractors are ideal because they can be moved easily and they allow hens to forage for insects and take dust baths, which improves their health. This open-bottom design also means your chickens are fertilizing the ground beneath instead of creating messes for you to clean up. This basic A-frame ark features a closed-in 4-by-4 nesting area and a 4-by-5 open-air pen that's covered with galvanized mesh fencing. This portable ark can be moved by one person and will accommodate a few hens. 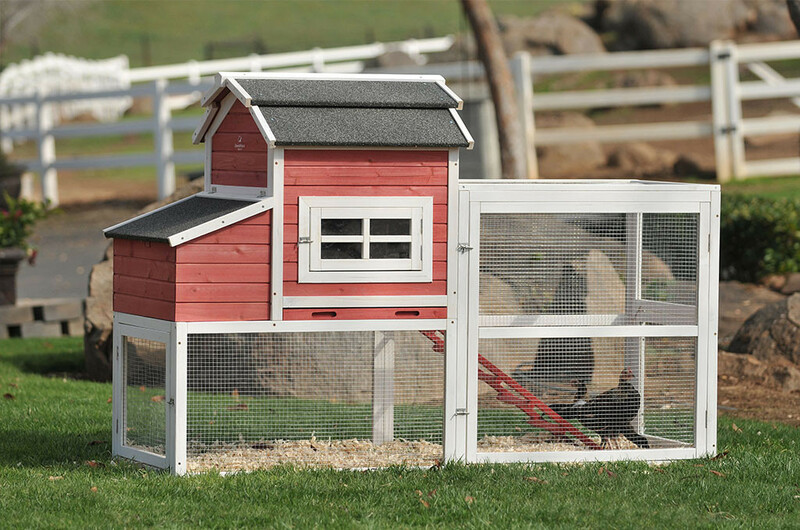 Made with a lightweight PVC frame, this portable coop features a small nesting area and large fenced pen. Since it has wheels, the coop can be moved in seconds. Still considering whether to buy or make your coop? 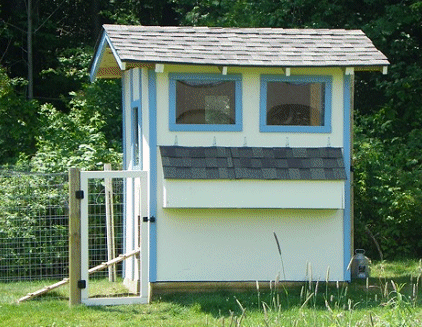 Check out our easy-to-clean, all-in-one chicken coop. A secure nesting area is essential for protecting your hens from predators. During the day, hawks and birds of prey may target foraging chickens. Chickens will instinctively run for cover when they see a threat. An encounter with a predatory bird will teach them not to trust shadows or screeches overhead. Shut the coop door daily around sunset. Foxes and coyotes are infamous chicken killers, but raccoons, skunks, opossums, and other critters raid coops too. Get your pets used to the chicks as soon as possible. If you're lucky, protective dogs may scare away predators. Make sure that your chicken run is secure. If predators are a problem, invest in taller fencing or install one or two lines of electric wire. There are numerous options for finding hatching eggs, chicks, and pullets. There are advantages and disadvantages to each. Paris Farmers Union holds 2 Chick Days events per year. Using our Chick Order Form, you can purchase day old chicks, ducks, geese, turkeys, and guinea hens from us to pick up in our stores. There are two pickup event days, one in May, and another in June. Download our 2018 Chick Order Form and fill out which breeds you would like. You can mix and match any breeds available, but we do require you to order a minimum of 6 birds total. Want to try 6 different breeds of chicks? No problem! Drop off your order form in one of our stores, or you can email it to us at customerservice@parisfarmersunion.net! Just remember to note on the order form which store you would like your order sent to for pickup! With so many breeds available, it's difficult to pick just one. Some adult hens do not readily accept different sized breeds. Smaller birds will be at the bottom of the pecking order, so it's better to choose one reliable variety, such as New Hampshire Reds, Buff Orpingtons, or red hybrids. If you are introducing new chicks to an established flock, you may want to keep them separated for a period of time. Keep the new birds visible, but separated from your current flock for a week or so. Some hens are in the 5-pound range while others weigh 8 to 10 pounds. Base your decision on heat and cold tolerance, noise level, size, and laying habits. All of Paris Farmers Union's chicks are New England hardy. Chicks and hens require extra care when they first arrive. Feeders and water founts should be filled daily and cleaned often. Chicks require special starter feed for the first eight weeks. Depending on your location, baby chicks may need to be kept under a brooder lamp for several weeks. Adults can forage for insects, but they also love weeds and kitchen scraps. Paris Farmers Union carries a variety of high quality, nutritionally balanced feeds from Blue Seal, Purina, and Nutrena for all life stages, from day old chicks, to adult egg laying hens, to feed for ducks, geese, and turkeys. Chickens use grit to break down their food. They also need crushed oyster shells or calcium supplements to increase the strength of their eggshells. A calcium deficiency can weaken the bones and result in injury as well as soft eggshells. Granite grit and powdered oyster shells can be added to feed or spread in separate trays. In the late summer and early fall, chickens lose feathers. The molting process may go slowing or quickly depending on the chicken and the breed. Complete your fall coop maintenance and repairs before it gets too cold. Add fresh layers of straw and litter to the coop floor. 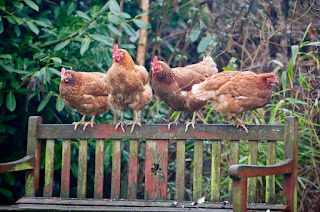 Open the coop daily in the winter even if the chickens don't want to go outdoors. Even with diminished production, collect eggs frequently to avoid freezing. Invest in a heated waterer. Do not over-insulate the coop or seal it too tightly. Clean out composted litter in the spring. Shade part of the run in the summer to protect your flock from the heat. Have any chicken-raising tips of your own? Let us know in the comments!